Standard Robotics Automation was founded in 2016 in Grand Haven, Michigan by Neil Gray. Neil has over 11 years experience in the field.Standard Robotics Automation is Fanuc Master Certified and specializes in robotics for arc welding, mig welding, resistance welding (spot), friction stir welding, laser cutting, material handling, fluid dispensing, multiple arm robots, and robots on rails. Robotic programming, integration, repair and employee training available for West Michigan, including Holland, Grand Rapids, Muskegon and beyond. Robotic programming, integration, repair and employee training available for West Michigan, including Holland, Grand Rapids, Muskegon and beyond. 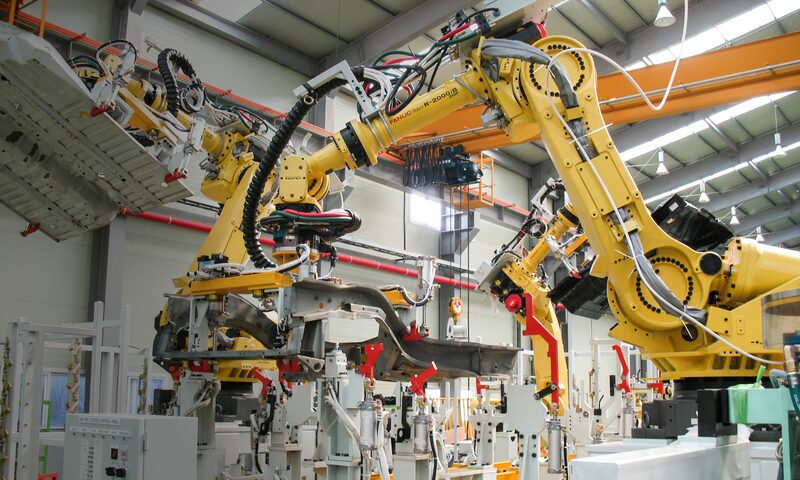 Standard Robotics Automation is dedicated to expert robotic programming offered locally to West Michigan automation manufacturing companies at a competitive price. They are Fanuc Master Certified. They are dedicated to expert robotic programming offered locally to West Michigan automation manufacturing companies at a competitive price. To provide design, building, integration, support and training services to our customers. Request a rate sheet here.